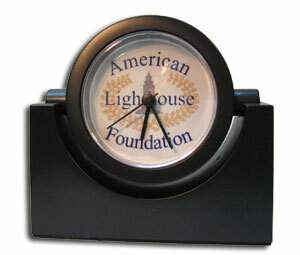 It is always lighthouse time when you have this clock on your desk! This timepiece features our "classic" logo style, and swivels to adjust the face angle to the direction you like. Battery operated and included.